In case you missed this…one of the most enjoyable home stories I’ve written. Peter Walker’s exuberant artistic spirit is evident the instant one steps into the Chester home the veteran actor shares with his partner, Jess Maghan. 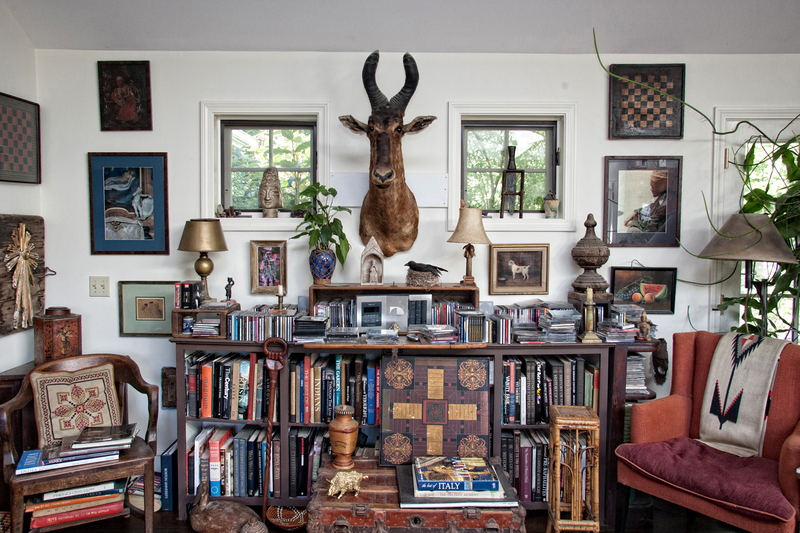 The walls are chockablock with his own photographs, with posters and playbills from films and plays in which he acted, with animal heads and relics and curiosities. 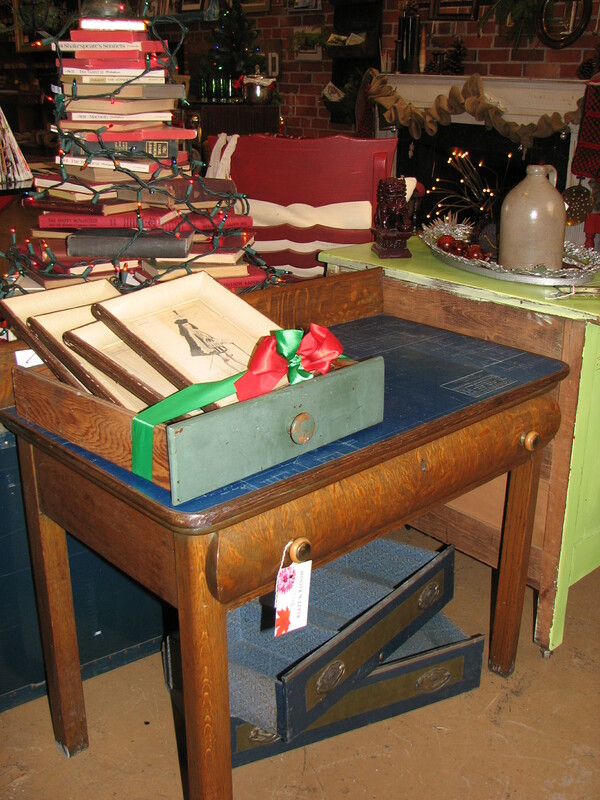 Every surface brims with fascinating objects — antiques, sculptures, boxes, baskets, books, tapestries, farm implements. 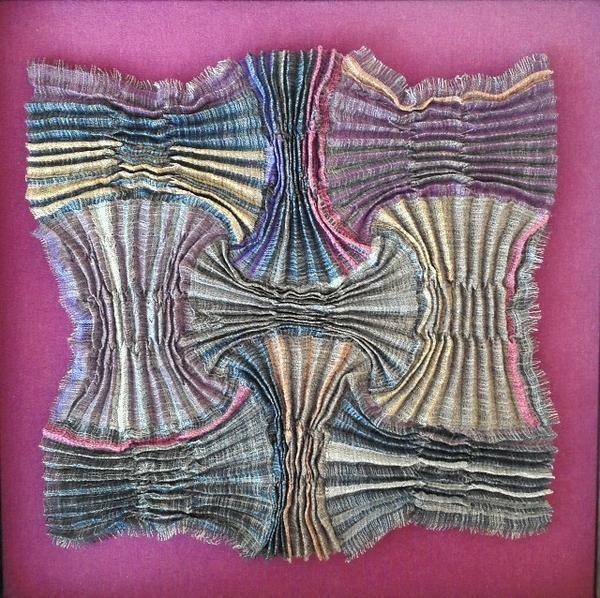 The Handweavers’ Guild of Connecticut opens its juried show today, April 4, at the Lyman Allyn Art Museum in New London, running through April 26. The 68 pieces on display in the biennial show could get creative ideas shuttling back and forth in your own imagination. 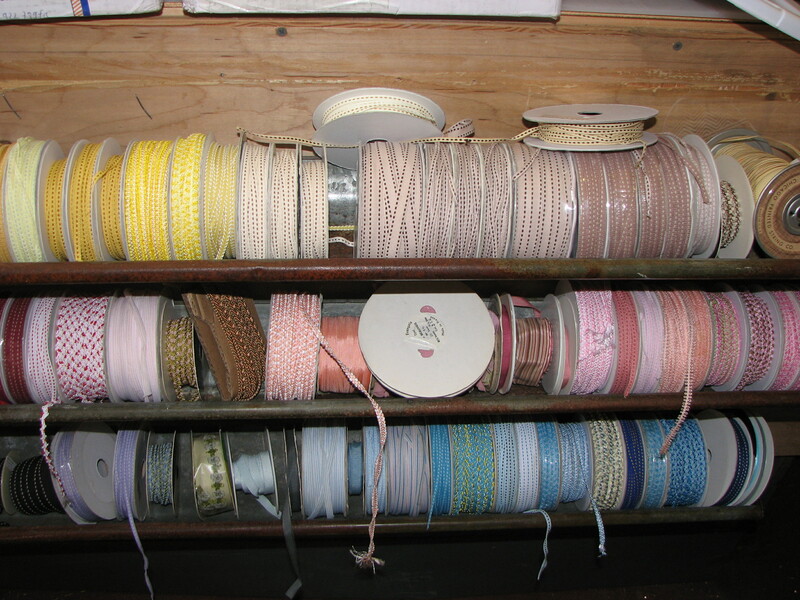 Sunday, April 18, is a demonstration day, with free admission, and you can try your hand on some of the looms and spinning wheel there. Here’s my story: Click here. Earlier this month, Nick Paumgarten described the staff of The New Yorker’s move from the office at Times Square to the new 1 World Trade Center megatower. His account reminded me in some ways of The Courant newsroom’s move a few months ago — the streamlining it involved and my own ensuing sense of an incredible lightness of being. The things we keep around! But mostly it was paper, whole forests’ worth. 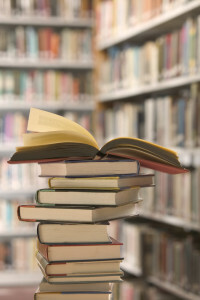 Thousands upon thousands of orphaned books, some hoarded for novelty appeal, or a nascent interest, or a bygone assignment, or out of allegiance to (or guilt about) writer friends — an “accretion of intention,” as one acquaintance put it — were trucked off to Housing Works and the like. Many more perfectly good books were sent to their doom, like so many unclaimed stray dogs. But I found myself cringing about all those books. 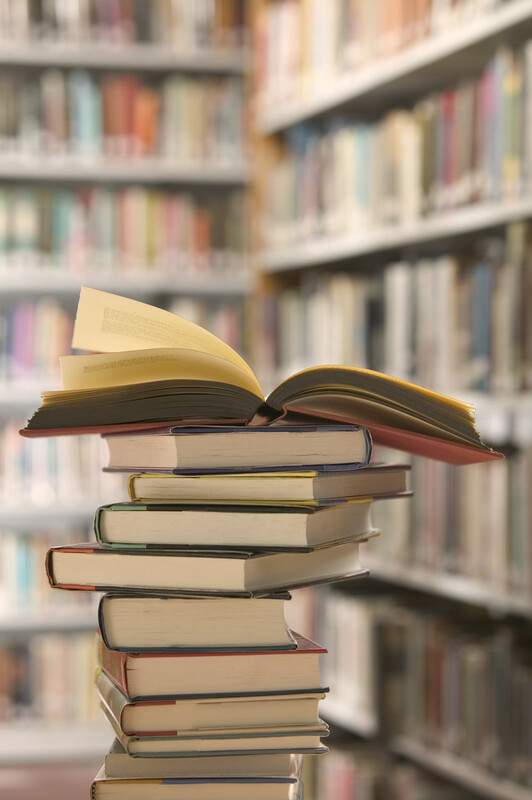 I can jettison an old turtleneck without blinking an eye, but a book is a different matter. I find it difficult to say adieu. I thought of all this when I heard that Hartford artist Anne Cubberly and LB Munoz are presenting a five-session workshop on “The Sculptural Book” at the downtown Hartford Public Library’s Hartford History Center. Participants will transform old or discarded books into new artworks — sculpting the pages, adding pop-ups, sewing and altering words to create new meanings. Sessions are on Saturdays at 10 a.m. , beginning Feb. 28, through March 28. Register in person, or call 860-695-6300. 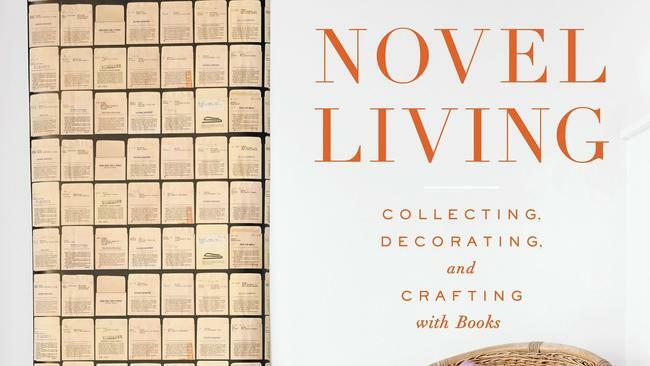 Meanwhile, California-based artist and writer Lisa Occhipinti has a new book out, called “Novel Living: Collecting, Decorating, and Crafting with Books” (Stewart, Tabori and Chang, $24.95, abramsbooks.com). Gearing up for this weekend’s Hilltown 6 Pottery Tour in Western Massachusetts, Robbie Heidinger fired up her kiln at about 5 Monday afternoon and took a break this morning to talk about the tour and her art. 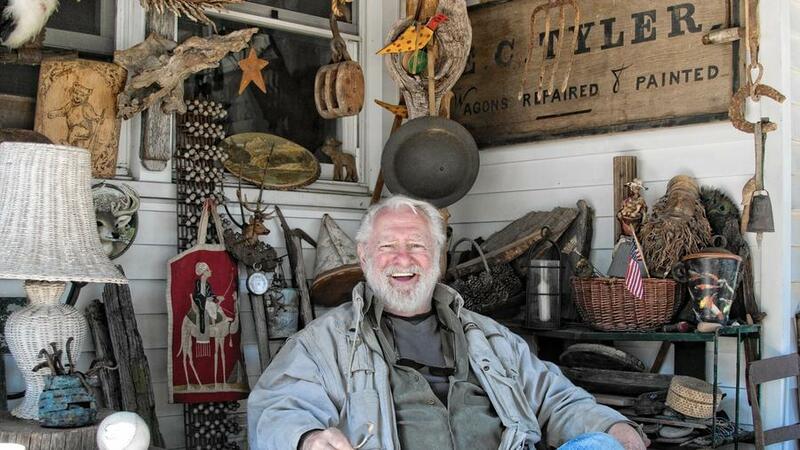 “I woke up at 3 this morning and will fire till 10 or 11 tonight,” said Robbie, a former ceramics instructor at UConn who moved from Chaplin, Conn., to Westhampton, Mass., about a decade ago. “We all use very complex firing processes,” she said, explaining that firing is typically a four-day process and she has to constantly regulate the flame and the quality of the heat. 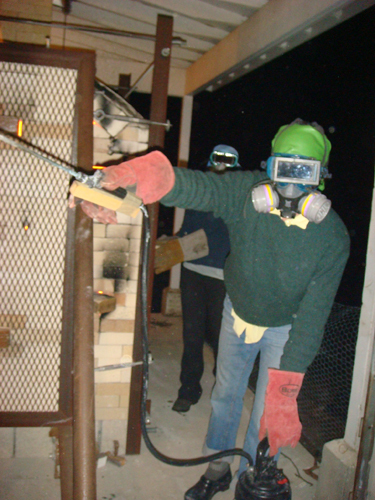 She uses propane as a heat source, but also keeps shoving wood into the giant, walk-in kiln she hand-built with bricks she’d brought with her from Connecticut. In the final three or four hours of firing, when the temperature is at its hottest, she spays dissolved baking soda into the kiln at 20-minute intervals, using a garden sprayer. 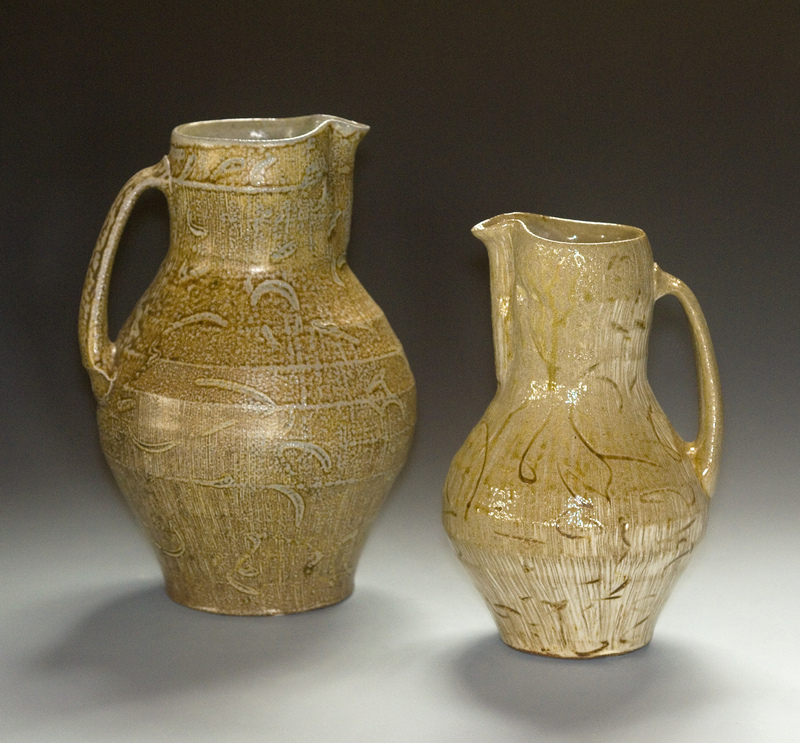 Each July Robbie and now eight other nationally recognized potters based in the Hilltowns of Western Massachusetts open their studios for the coordinated Hilltown 6 Pottery Tour. 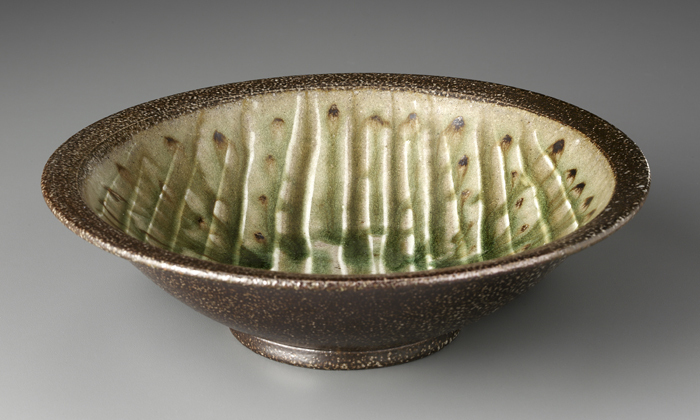 “Potters tend to thrive in secret hollows and on quirky hilltops,” she says. The southernmost studios on the tour are just west of Northampton: Robbie’s studio at 1 Stage Road in Westhampton is fairly close to Sam Taylor’s, at 35 Perry Hill Road Ext., where Michael McCarthy also will display his work. “We’ve created little clusters,” Robbie said. Northwest of those three are Hiroshi Nakayama and Mark Shapiro, both in Worthington. Farther north are Constance Talbot in Windsor, Eric Smith and Christy Knox at their studios in Cummington, and Maya Machin up in Ashfield, not far from Elmer’s Store. Most studios are also hosting work of other guest potters and artists. For a map of the pottery studios, a schedule of demonstrations and more about each artist, go to www.hilltown6.com. 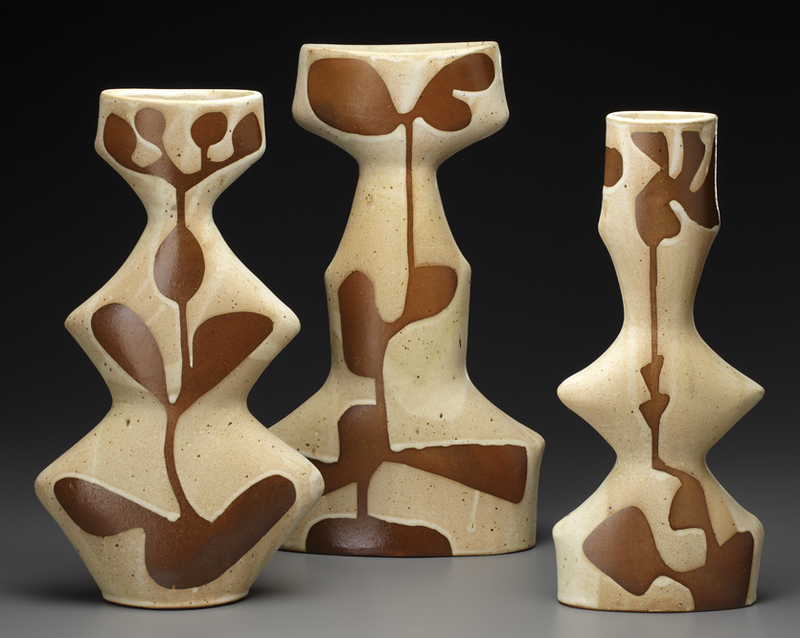 PHOTOS, FROM TOP: Robbie Heidinger works in her Westhampton kiln; pottery with monoprinting technique by Robbie Heidinger; vase by Michael McCarthy; pair of pitchers by Mark Shapiro; bowl by Eric Smith; “Martha Graham” vessels by Robbie Heidinger. 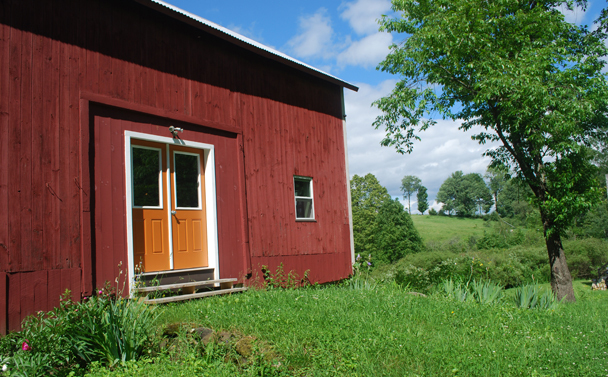 BELOW: Maya Machin’s barn. 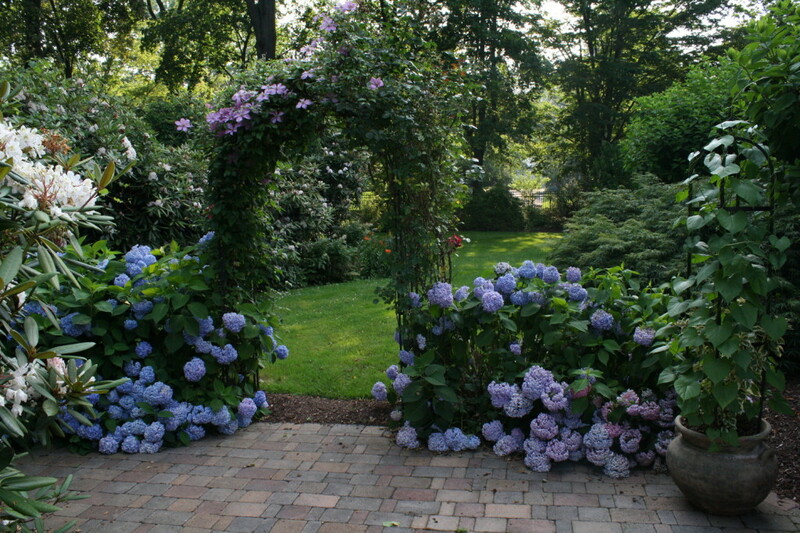 This picture-perfect first day of summer is an ideal start for Hartford Blooms’ 20th anniversary extravaganza, a nine-day celebration of Hartford’s glorious gardens and architecture. Dozens of walking tours are on the schedule. The kickoff includes guided tours of Elizabeth Park’s magnificent gardens, and later today there’s a cocktail party at Vito’s by the Park. 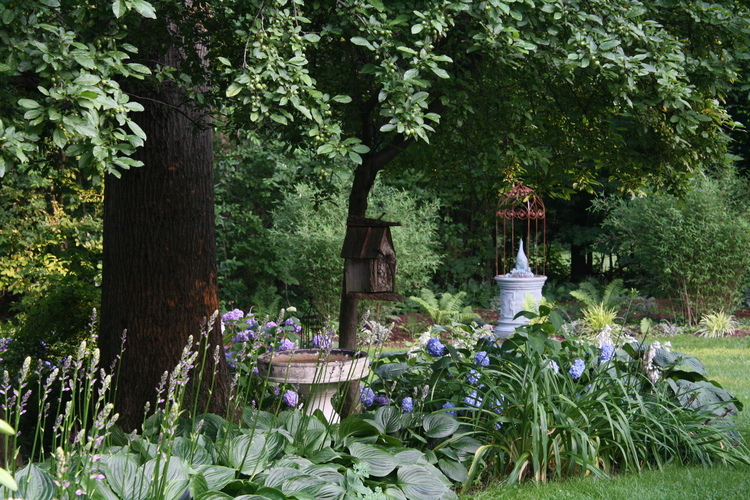 And weekdays, gather at the Butler-McCook House and Garden on Main Street for a reception — where plein air painters will be creating art as you watch. There isn’t much that Susan Schneider hasn’t turned into a lamp or a lamp shade. “I am a junker!” she proclaims. But it all ends up looking so chic and appealing. 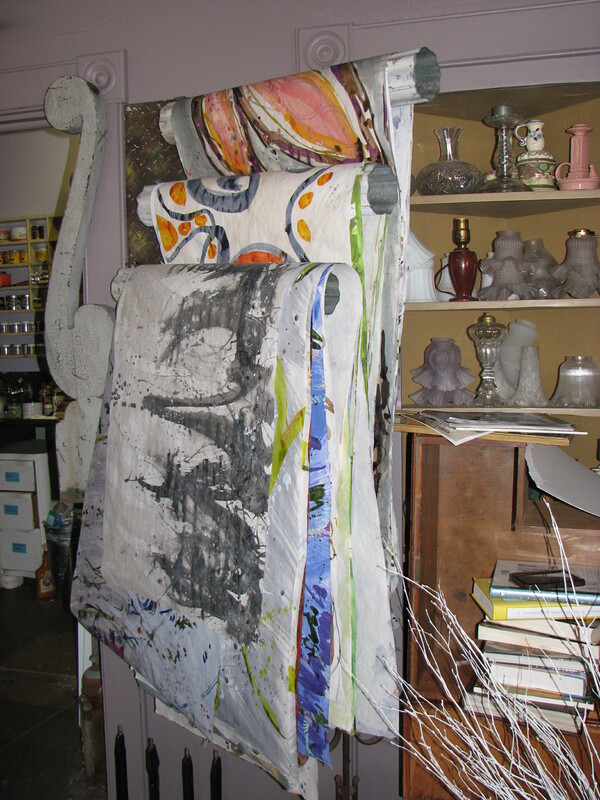 She has made lamp bases from such eclectic items as an old Yellow Cab car jack; vintage, hand-carved wallpaper rollers; a pair of antique cream separators; a 19th-century hay trolley with wheels for a pulley that once carried large bales of hay up into a hayloft; plow parts, which she has nickel-plated, to give them an edgy, industrial look; bases of 19th-century hall racks that held hats, coats and umbrellas and look almost like inverted tortoise shells (above); old decorative heating grates painted brilliant blue; plumbing pipes for an artesian well. All have been transformed into lamps. 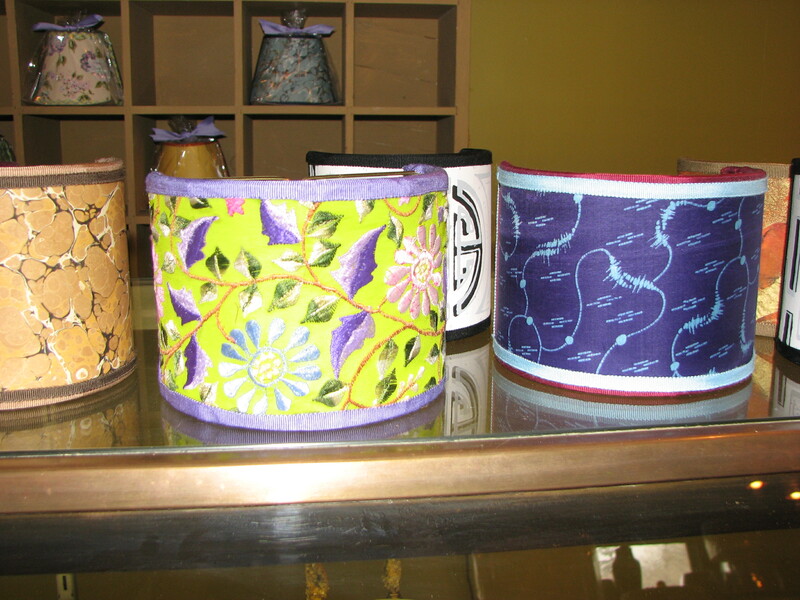 To top it off, Schneider also custom-makes lamp shades, and again her creative impulses reach far and wide. 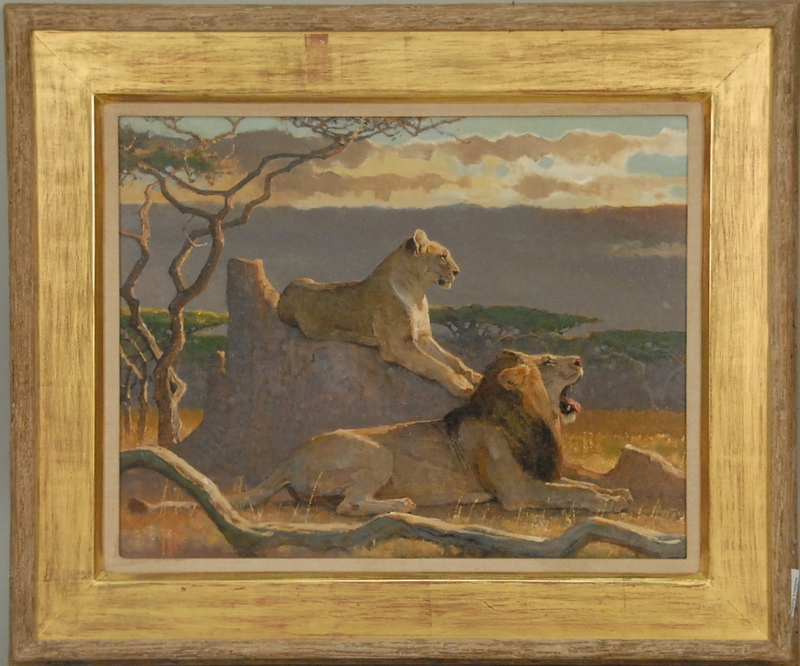 She has a collection of more than 10,000 scanned images of everything from maps and architectural prints to equestrian prints, racks holding hand-painted papers, and numerous drawers filled with beautiful marbled papers and paste papers, and rolls of period wallpapers. She also makes decorative paper-covered wastebaskets, tissue boxes and matchboxes. 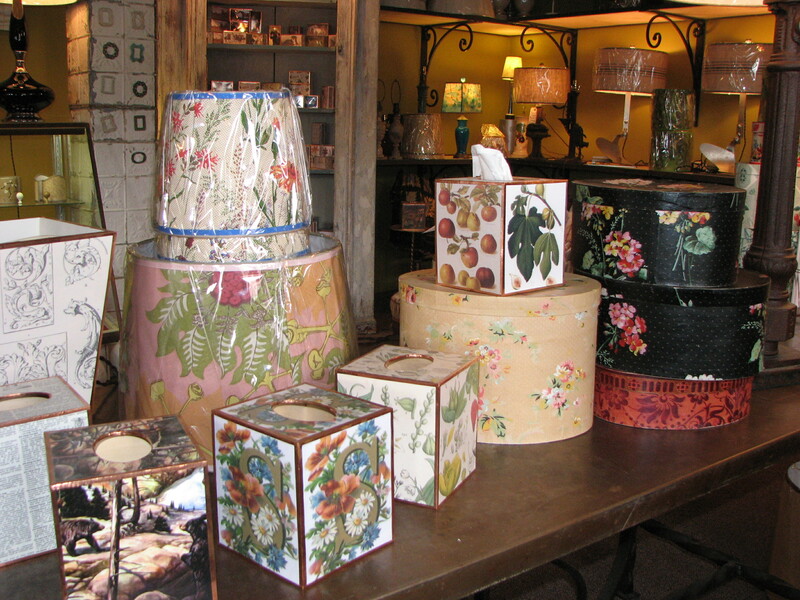 She has created lamp shades from handmade bark paper, papers embedded with leaves, and a variety of fabrics including remnants of 19th-century saris and paisleys. One petite shade for a sconce is edged with guinea hen feathers, creating a whimsical look of fluffy polka dots. 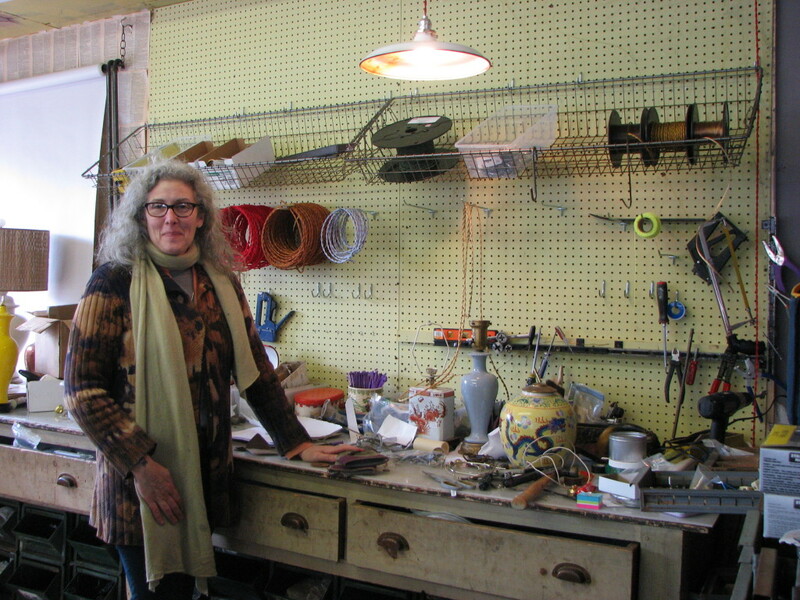 Schneider, who named her business after the Hebrew name meaning “beautiful” that her Polish grandparents called her, got her start as an antiques dealer in Newburyport, Mass., in 1991. 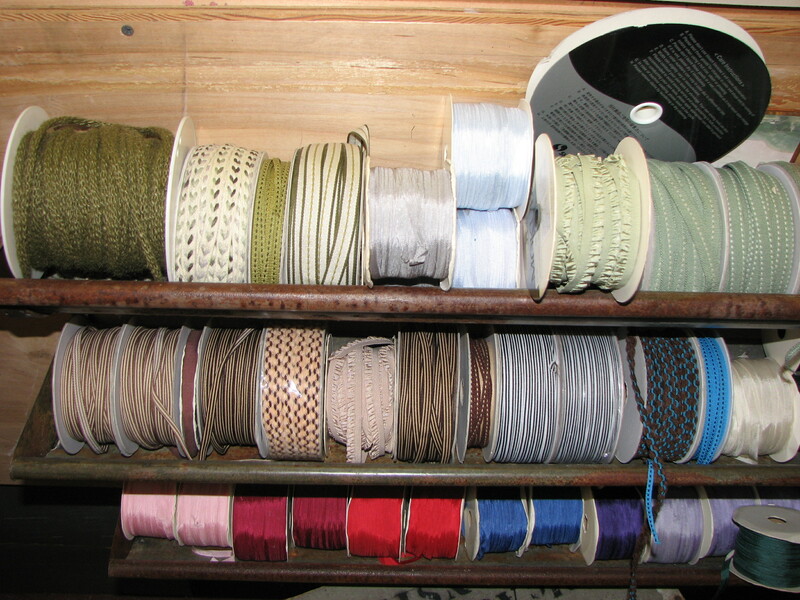 As the economy sagged and she gradually lost dealers but gained space, she found herself focusing heavily on antique textiles and decorative lighting. 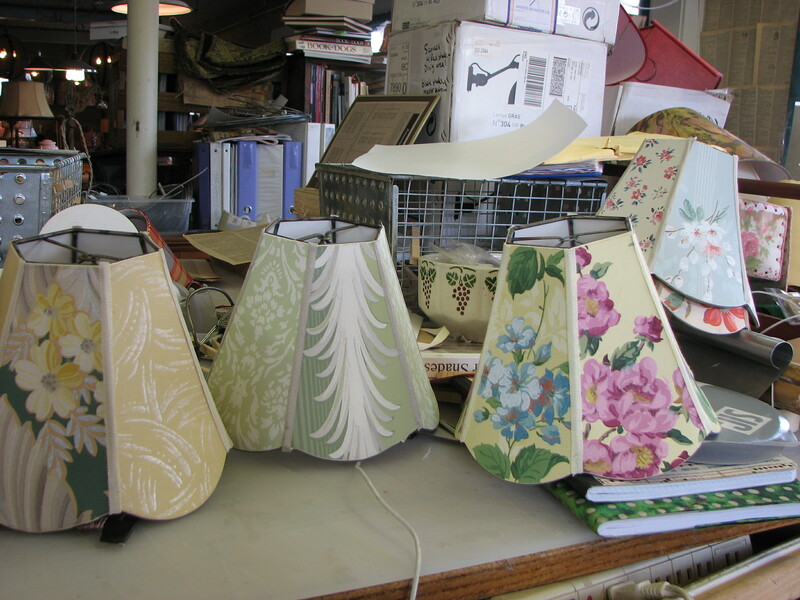 She says she begged a friend and customer who made lamp shades to teach her how, and one day the friend suddenly offered to sell her the whole business for a nominal amount of money. Schneider’s new workshop brims with projects and ideas. It’s papered in pages from old dictionaries she finds at dumps and crammed with rows of rolls of colorful trims, and lamp wires in a rainbow of colors. She says moving all the fixtures and worktables and cabinets was like moving a hardware store. This isn’t where old lamps go to die, but to live again and be transformed. 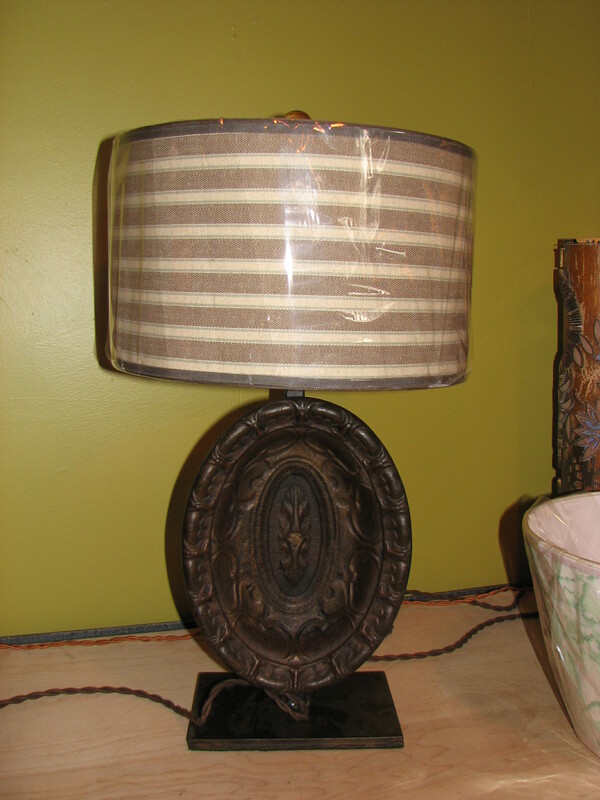 If the base of a lamp is chipped, Schneider might copper-leaf it. “I live for copper leaf! I have a fascination with copper leaf and silver leaf and gold leaf,” she says. Sometimes she leafs the inside of pendant lamps or chandelier shades, giving the light an added measure of luminosity. 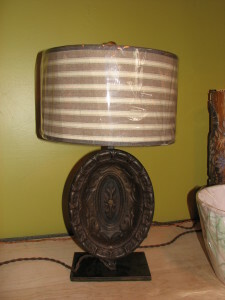 She might pull the dolphin feet off a lamp base that she doesn’t like and use them on a base that she does. Lately, she says, she’s been making more colorful and floral shades. 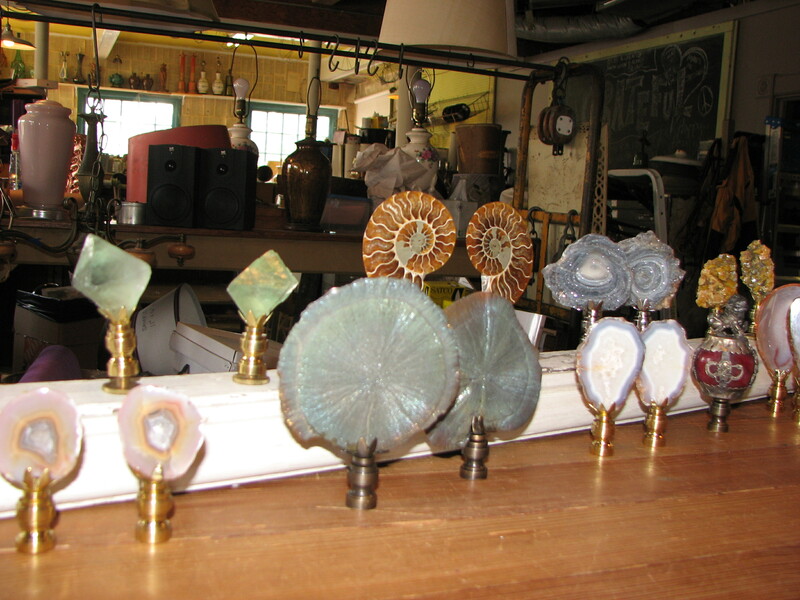 Schneider also stocks a dazzling array of finials — the small ornaments that top a lamp shade — including ammonite fossils sliced in half, miniature Foo dogs, crystallized minerals called pyrite suns that look like sunbursts, chunks of red jade, chunks of natural copper and gleaming cubes of octahedron fluorite. The 19th-century Tibetan finials, which she calls Feng Shui balls or energy balls that were given as gifts for good luck, include red balls topped with a rooster wrought in brass. “I call them lamp candy,” Schneider says. 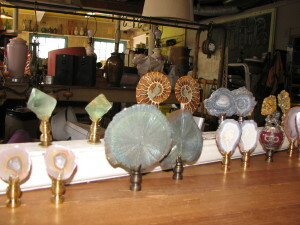 The selection of finials, priced at $5 to $195 a pair, also includes a variety of gleaming geodes, agates and malachites. Schneider lives in a 1940s house in Moodus with her boyfriend and her two dogs — a Jack Russell terrier and a Newfoundland — and spends her time working on a number of projects at once. “It’s mood-driven,” she explains. But for custom work, she knows she sometimes has to work fast. That playful spirit infuses so much of what Schneider does. Her email address says it all: It’s thingsthatmakeyousmile@gmail.com. 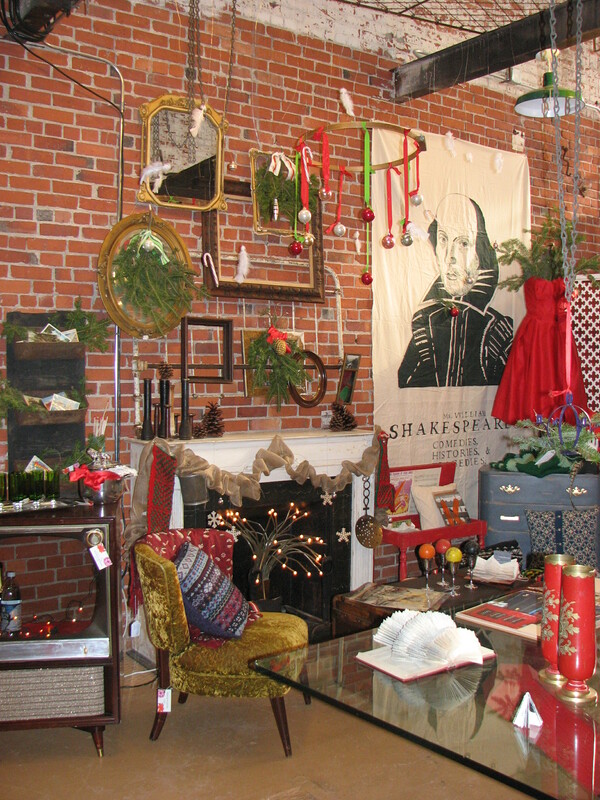 Shandell’s at 107 Main St. in Ivoryton is open Wednesday through Saturday from noon to 5 p.m. and by appointment. Call 860-510-3167. For more visit shandells.com. Blaze & Bloom is a riot. So many imaginative, funky, zany, witty ideas packed into one airy, historic space in Hartford. Four West Hartford friends — Katie Wickham, Jennifer O’Connell, Julie Jones and Tracey George — who are neighbors and all have kids, started the business in 2011. 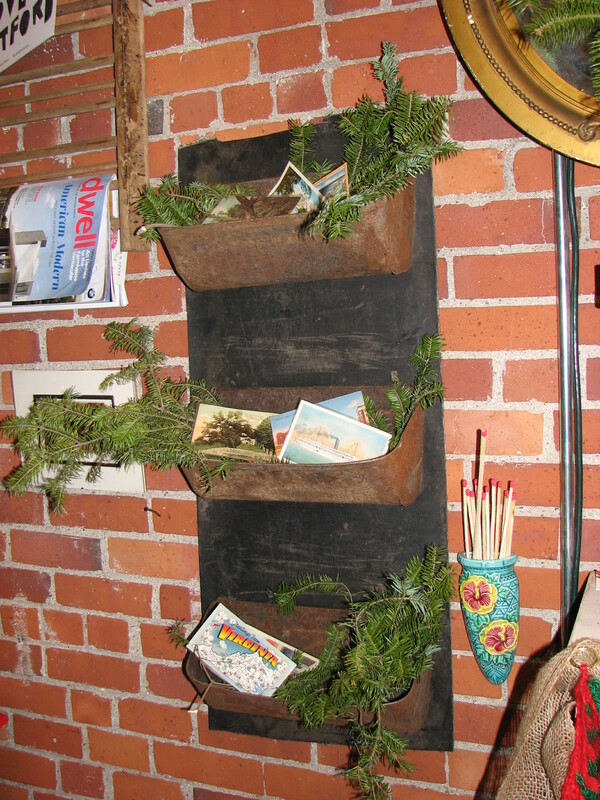 Back then, they held two backyard sales a year — in the fall (Blaze) and spring (Bloom). 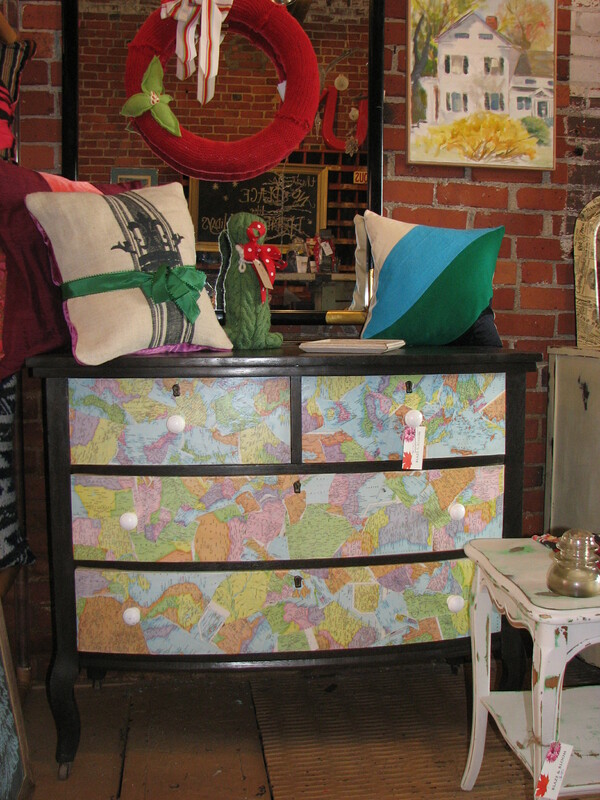 They specialize in giving new life to discards and otherwise reusing, repurposing and sometimes completely reconceiving old stuff — old maps, blueprints, books, fabrics and furniture. 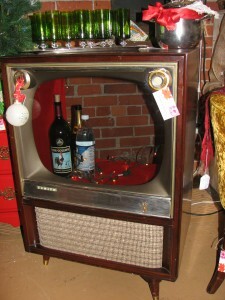 Take, for example the Zenith bar. Yes, it’s a mid-century TV console that swivels. They pulled out all the wires and tubes and other weird stuff (apparently quite a job), painted the interior red and added lights, transforming it into a one-of-a-kind cocktail bar for a family room or man cave. Cheers! 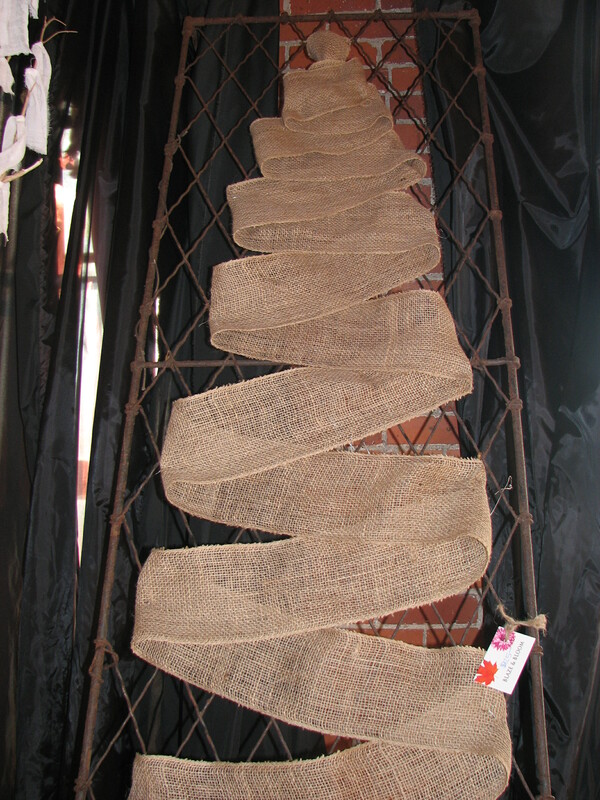 Jennifer spotted a 9-foot porch trellis, rusting and old, by the side of the road. (“I love rusty and old!” she says). 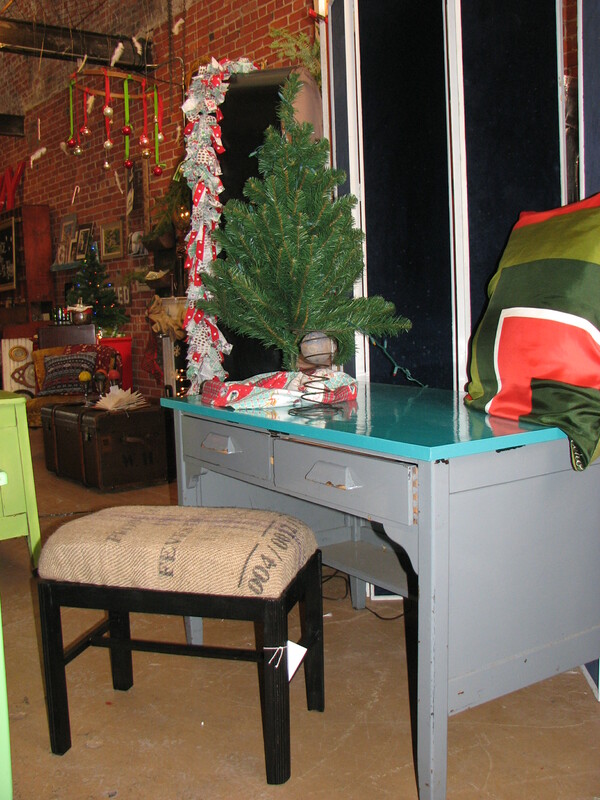 She upended it, wove in a wide strip of burlap to look like a Christmas tree and added lights. 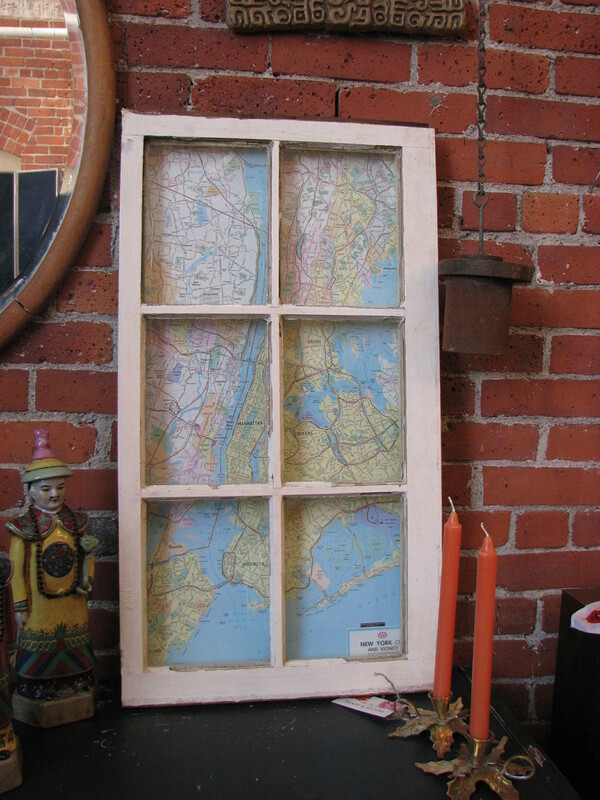 Katie has a big collection of old road maps (Esso vintage) and blueprints — and decoupages them onto tables, desks and chests. 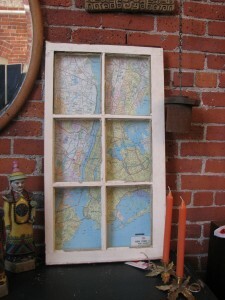 A vintage road map of Manhattan is framed with an old window: throwaways refashioned into a very cool artwork for $75. 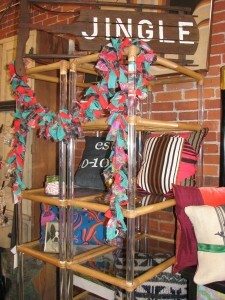 Strips of vintage fabrics are turned into holiday garlands. 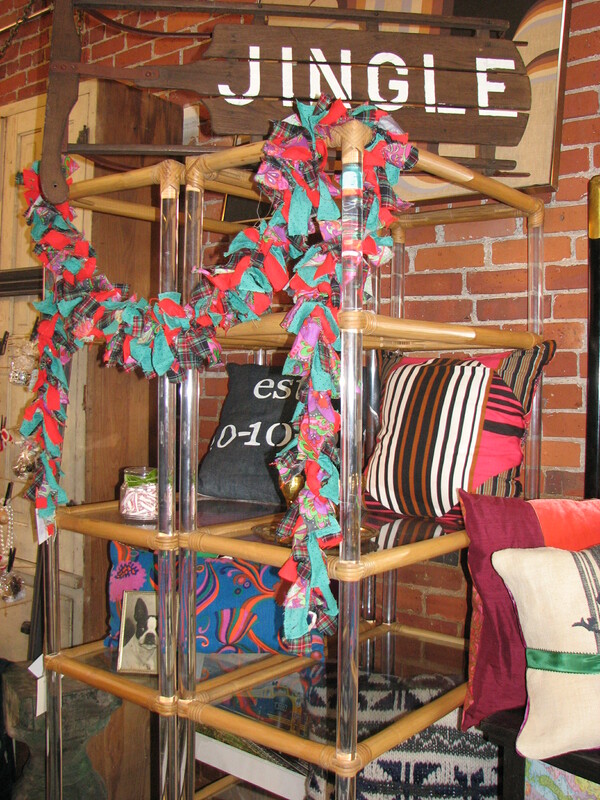 Christmas balls now dangle from an old round needlepoint stretcher. The pages of an old book are intricately folded for displaying photos. 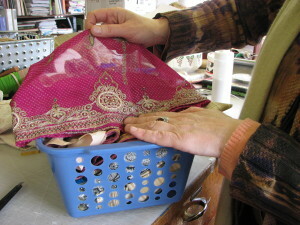 An old piano stool is now covered with an old potato sack, “to give it a more hip life,” as Katie says. And the “item of the week” is a nifty metal catchall — made from segments of an old factory conveyor belt. If you need to get organized, there were two when I stopped by this week, priced at $55 and $65. Sometimes the new life of an old item isn’t immediately clear. Jennifer stenciled the word TABLE on a table. 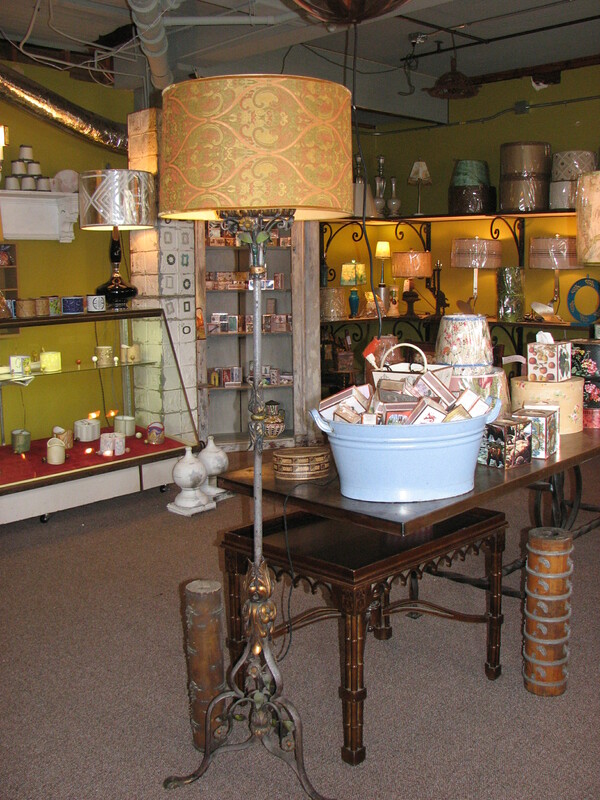 Blaze & Bloom also has an enticing array of vintage neckties, glassware, jewelry and more. While the four friends started out just for fun, in July they got serious (though they’re clearly still having fun). They moved into a terrific space at 50 Bartholomew Ave. in Hartford — just down the street from the Design Center on the corner of Park Street — that used to be the RLF showroom and long before that was a metal file factory in the 1800s. The building also houses landscape designer Cynthia Dodd’s Dirt Salon, the new Birch Papery, puppeteer/kinetic artist Anne Cubberly’s workshop and a variety of other artists’ studios. The whole place has a really wonderful, creative, collaborative vibe. 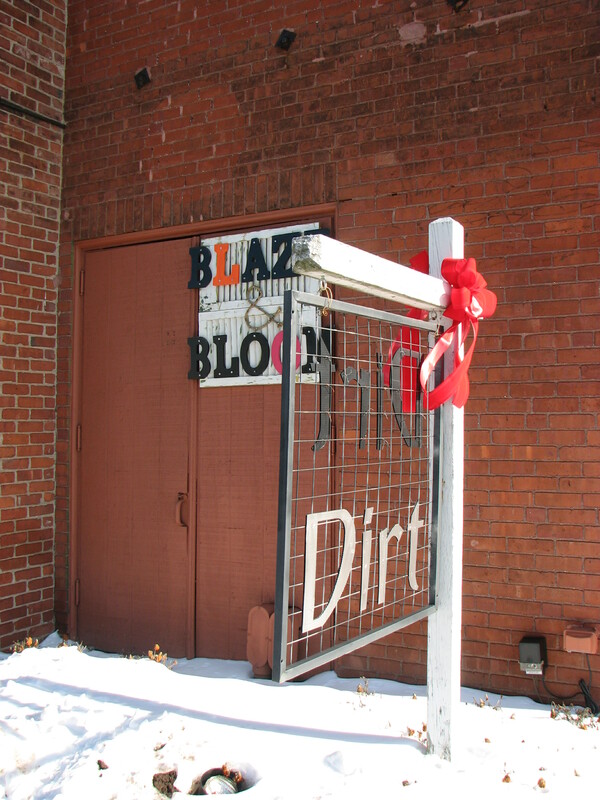 Blaze & Bloom has been open just a few days a month since the summer, but starting on Jan. 4, it will be open from 10-5 every Saturday, and by appointment. 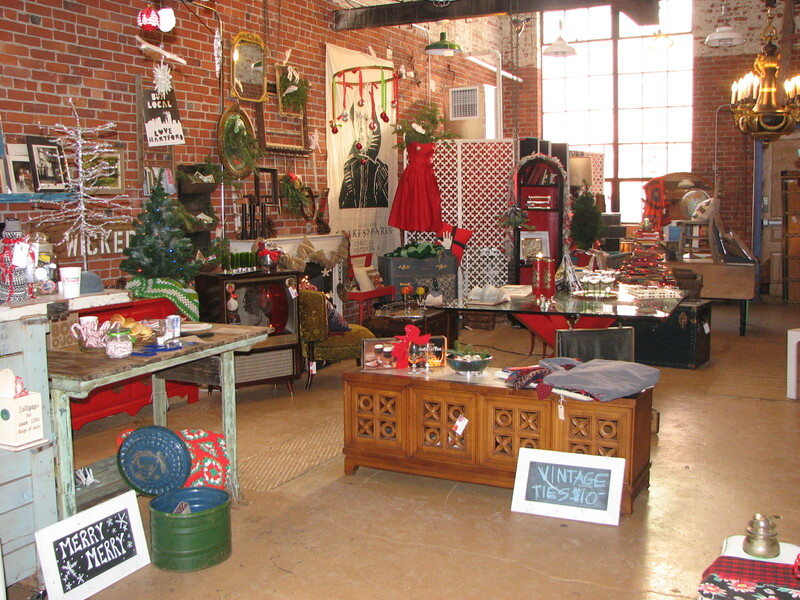 And it’s open today, if you’re on the hunt for a one-of-a-kind gift. 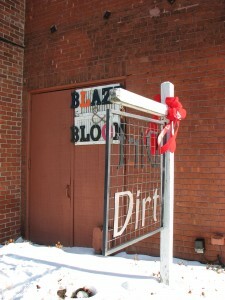 For more, go to www.blazeandbloom.com, email blaze.bloom@yahoo.com or call 860-888-2087, 860-816-0880 or 860-305-0172. What gets your heart thumping, your competitive juices flowing? For some, it’s running in a marathon. For others, it’s a fierce tennis match or game of bridge. But there’s nothing quite like an antiques auction if you’re hankering for dramatic tension, pumping adrenaline, the agony of defeat and the ecstatic thrill of victory. You also often get to take something home. 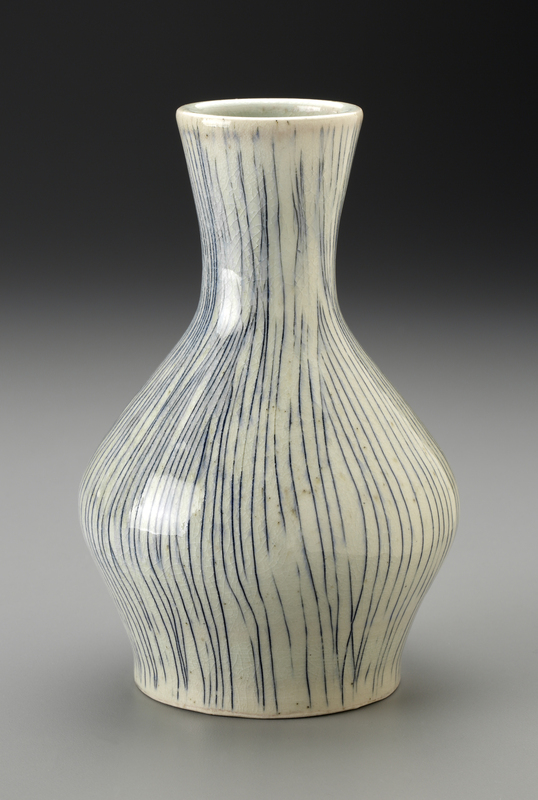 Nadeau’s Auction Gallery in Windsor is holding its Important Annual Fall Antiques & Fine Art Auction Saturday, Oct. 12, beginning at 11 a.m., with quite a lot of enticing items to go on the block. From Nantucket lighthouse baskets, vintage toys, plenty of antique silver, pewter, andirons and paintings, to Rose Medallion and Rose Famille porcelains, 19th century furniture, Oriental rugs, vintage toys, Civil War ephemera, Quimper dishware, weathervanes, clocks and a Navy cutlass or two for good measure. Nadeau’s is at 25 Meadow Road in Windsor, just off I-91. Preview hours for Saturday’s auction are Wednesday from 2 to 5 p.m., Thursday from noon to 5 p.m., Friday from noon to 6 p.m. and Saturday from 9 to 11 a.m. For more information, including a detailed catalog, go to www.nadeausauction.com. 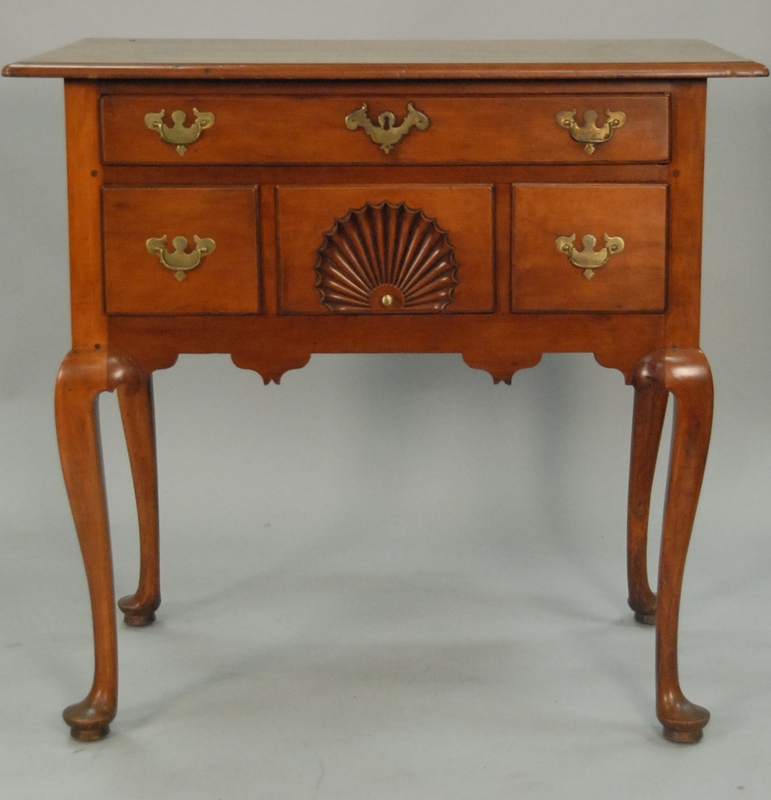 Photos, from top: Queen Anne dressing table in cherry, with unusual three-quarter fan carving. 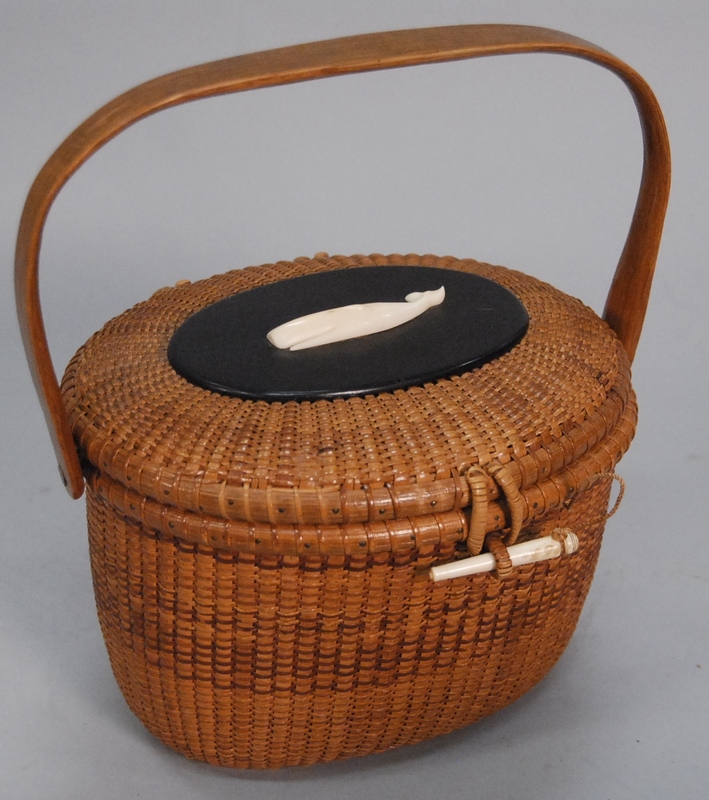 Nantucket lighthouse basket by Jose Formoso Reyes (1902-1980). “Mara Evening” oil painting by Bob Kuhn, 1989. All via Nadeau’s Auction Gallery.